Magnesium is known as the "Miracle Mineral" and the "Spark of Life." Essential for over 280 biochemical reactions that take place inside our bodies, magnesium plays a critical role in bone and heart health. 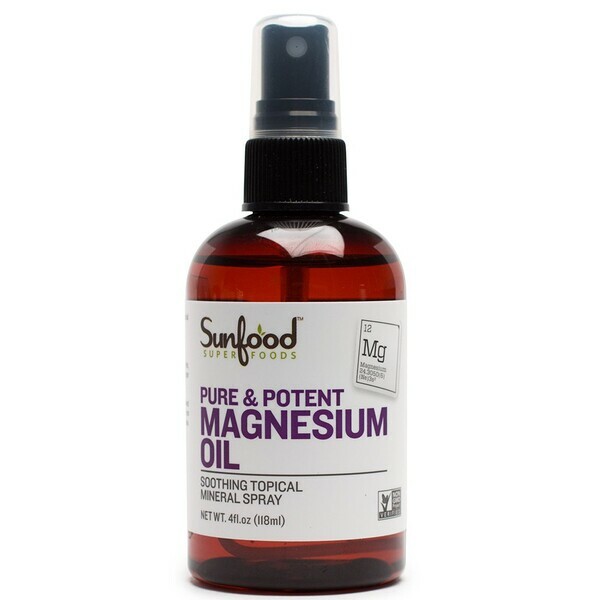 Other products labeled "magnesium oil" are simply magnesium chloride, cheap alternatives which offer marginal results. Our proprietary infusion process, combined with potent magnesium chloride hexahydrate sourced from Dead Sea salt, established Sunfood Magnesium Oil in a class all on its own. Spray daily onto chest, feet, joints, and under arms. Lightly massage into skin for proper absorption. Ultra-purified water, food/pharmaceutical grade magnesium chloride hexahydrate. Sealed for your safety. Do not use of seal is broken.